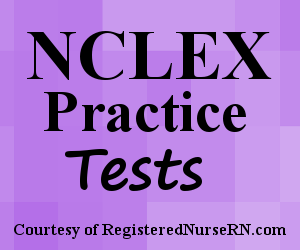 This is a quiz that contains NCLEX review questions for acute glomerulonephritis (poststreptococcal). As a nurse providing care to a patient with acute glomerulonephritis, it is important to know the signs and symptoms, pathophysiology, nursing management, patient education, and treatment. Don’t forget to watch the glomerulonephritis lecture prior to taking the quiz. This quiz will test your knowledge on Acute Glomerulonephritis (post-streptococcal) in preparation for the NCLEX exam. A. Initiate and maintain a high sodium diet daily. B. Monitor intake and output hourly. C. Encourage patient to ambulate every 2 hours while awake. D. Assess color of urine after every void. E. Weigh patient every daily on a standing scale. F. Encourage the patient to consume 4 L of fluid per day. D. None of the above because the patient's urinary output is normal based on the patient's weight. A. A 3 year old male who has a positive ASO titer. B. A 5 year old male who is recovering from an appendectomy. C. An 18 year old male who is diagnosed with HIV. D. A 6 year old female newly diagnosed with measles. A. "This condition tends to present 6 months after a strep infection of the throat or skin." B. "It is important the patient consumes a diet rich in potassium based foods due to the risk of hypokalemia." C. "Patients are less likely to experience hematuria with this condition." D. "This condition is not caused by the streptococcal bacteria attacking the glomerulus, but by the immune system’s response to the bacteria by creating an antigen-antibody complex which inflames the glomerulus." 2. While providing care to a pediatric patient with acute glomerulonephritis, you note the urine output to be 10 mL/hr. The patient weighs 30 lbs. As the nurse, you will want to limit what type of foods from the patient’s diet? D. None of the above because the patient’s urinary output is normal based on the patient’s weight. 3. A patient who is experiencing poststreptococcal glomerulonephritis has edema mainly in the face and around the eyes. As the nurse, you know to expect the edema to be more prominent during the? 4. Which patient below is at MOST RISK for developing acute glomerulonephritis? 6. TRUE or FALSE: Poststreptococcal glomerulonephritis is a type of NEPHROTIC SYNDROME, which means there is the leakage of BOTH red blood cells and protein from the inflamed glomerulus into the filtrate. 7. Within the past month, the admission rate of patients with poststreptococcal glomerulonephritis has doubled on your unit. You are proving an in-service to your colleagues about this condition. Which statement is CORRECT about this condition?